San Antonio's previous loss was Feb. 25 in Brooklyn as part of their 1-7 Rodeo Road Trip. 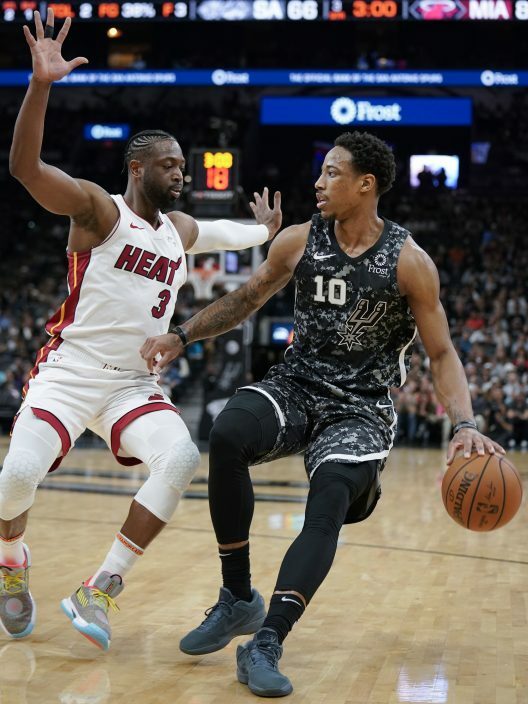 The Spurs had won 11 straight at home. 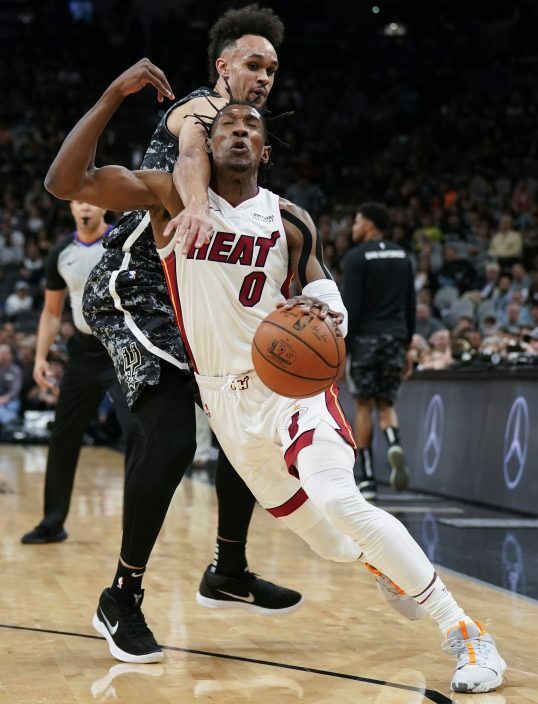 San Antonio rallied from a 12-point deficit entering the fourth quarter to pull to 108-105 on Rudy Gay's floater with 1:07 remaining, but a turnover by DeMar DeRozan and a pair of free throws by Kelly Olynk sealed the victory. 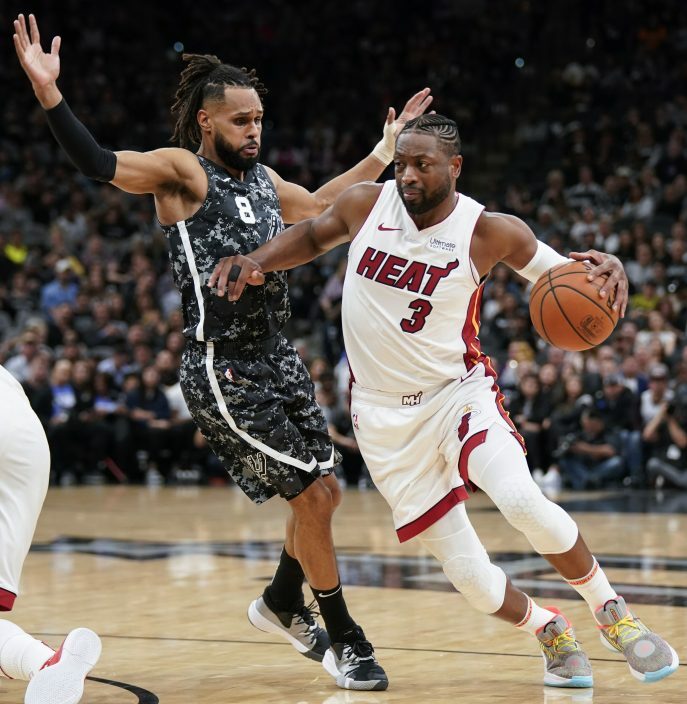 He finished with 11 points, including a running 3-pointer from halfcourt that brought the crowd to its feet in celebration of one of the Spurs' fiercest competitors. 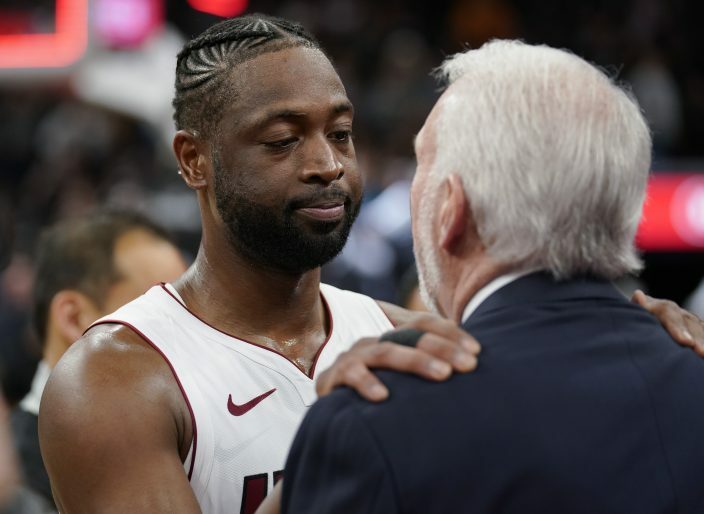 The Spurs honored Wade before the game with a 1½-minute video highlighting his 16-year career, including the battles he split with San Antonio in the 2013 and 2104 NBA Finals. 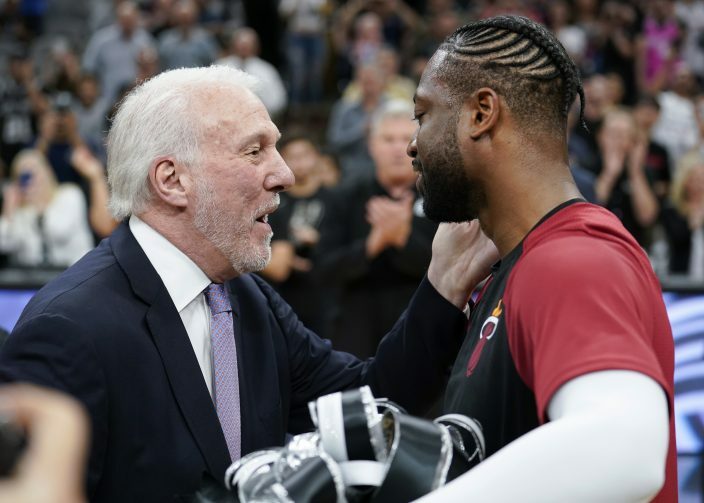 After the video played, Spurs coach Gregg Popovich presented Wade with a gift box that included signed jerseys from the Spurs' Big Three of Tim Duncan, Tony Parker and Manu Ginobili. 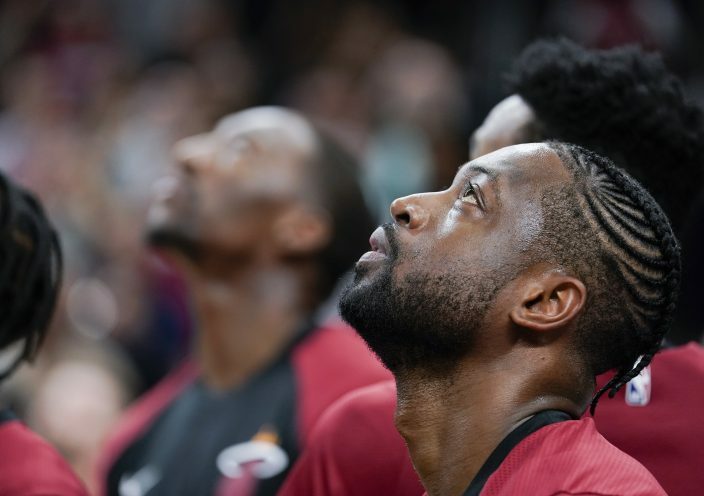 The Spurs went on a 13-5 run, including Wade's halfcourt shot, to pull to 92-83 but Miami quickly reclaimed a 13-point lead. 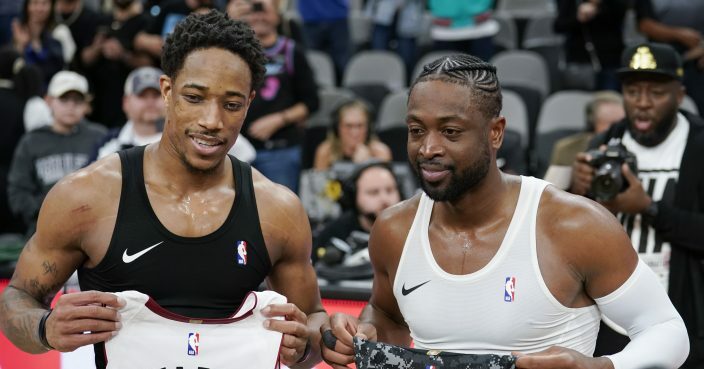 Heat: Wade exchanged jerseys with DeRozan at halfcourt following the game. 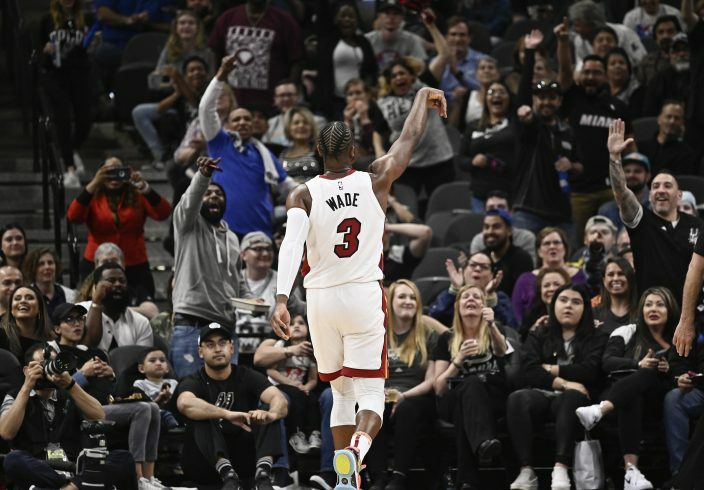 The crowd serenaded him with "D-Wade" chants as he did a postgame interview and as he walked into the locker room. . Miami's previous win at San Antonio was March 31, 2013, when Chris Bosh scored 23 points, including the game-winning 3-pointer, to stun the Spurs 88-86 as Wade and LeBron James sat out for rest. . Miami is 17-16 on the road after finishing 18-23 last season. . Justise Winslow missed the game with a bruised right thigh.